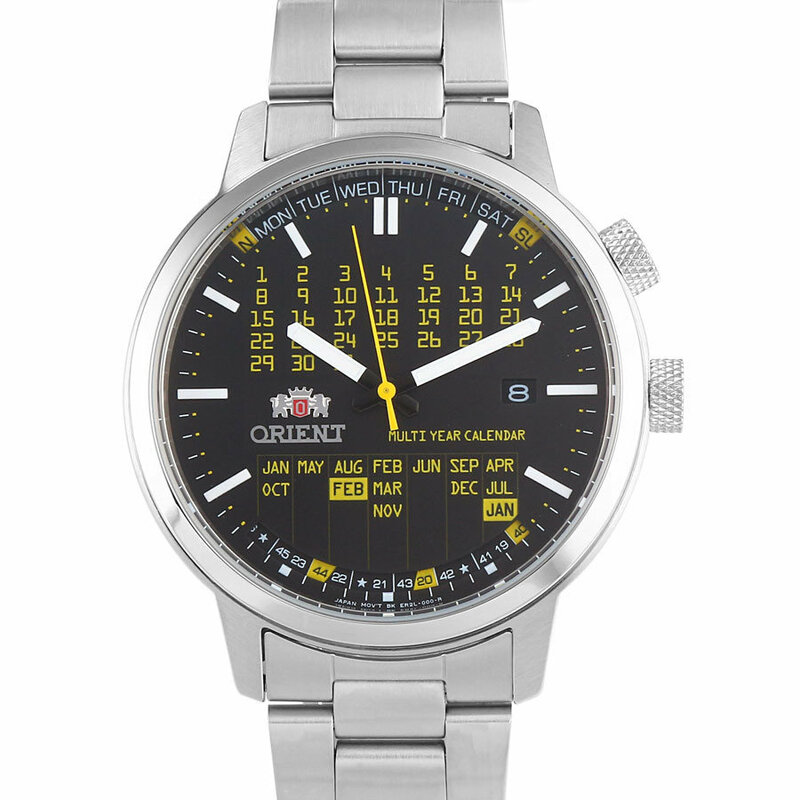 The Orient FER2L002B is a very cool calendar watch with a hint of the 80s. By moving the crown at 2 o'clock you can set it, so that you'll have the correct day/week for the rest of the month. On the back you will find a caseback with blue glass, through which you can see the automatic Orient Cal. 48743 movement.